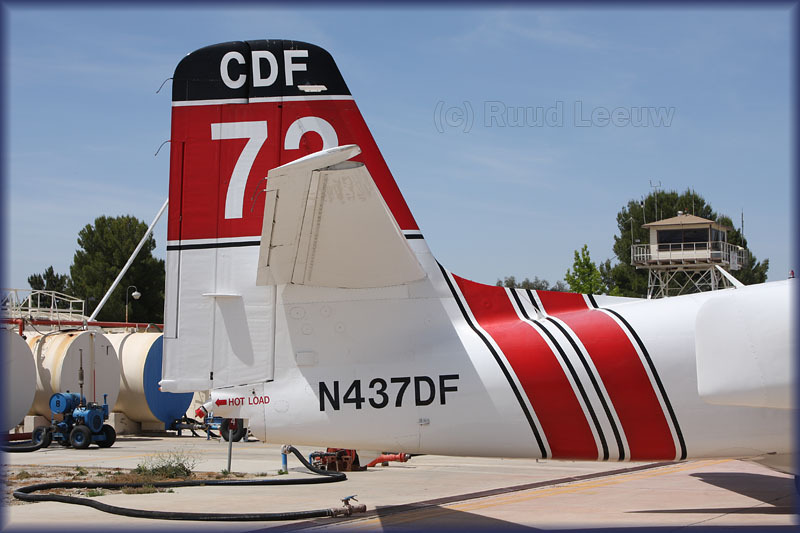 Tanker 71 (N432DF), a temporary replacement, is leaving KHMT while Tanker 93 is standby. 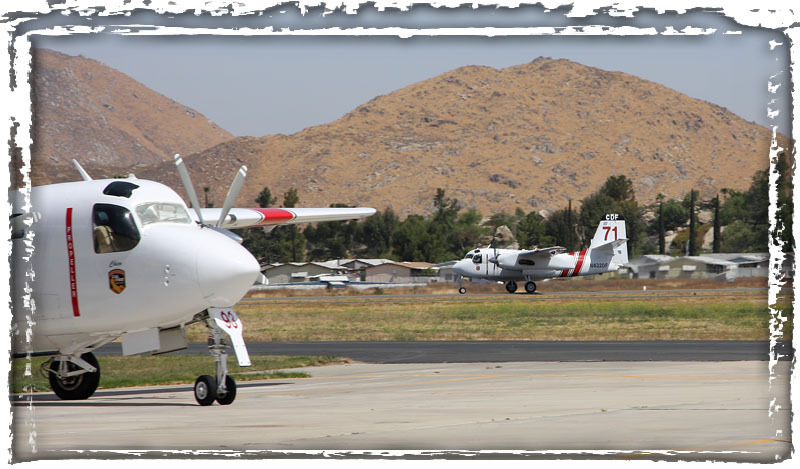 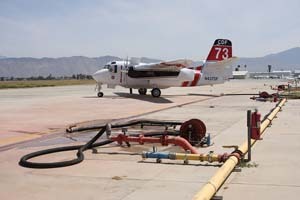 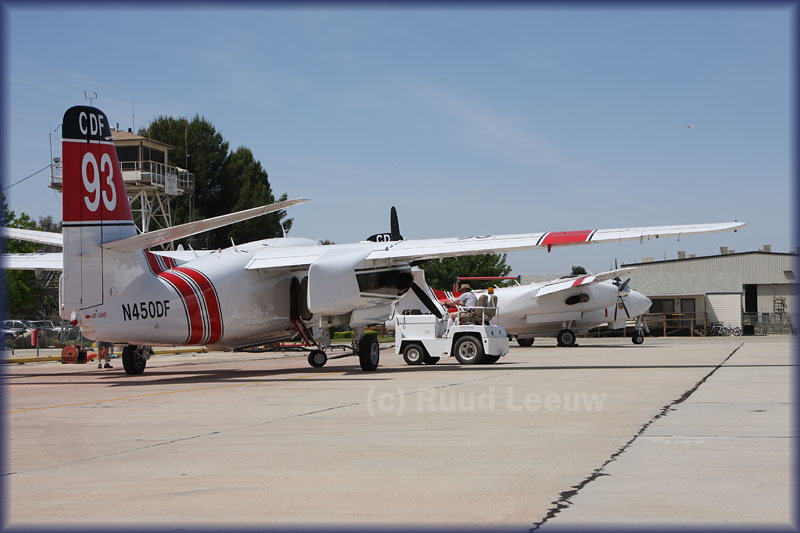 On 14May08 my wife and I visited Hemet-Ryan Airport (KHMT). 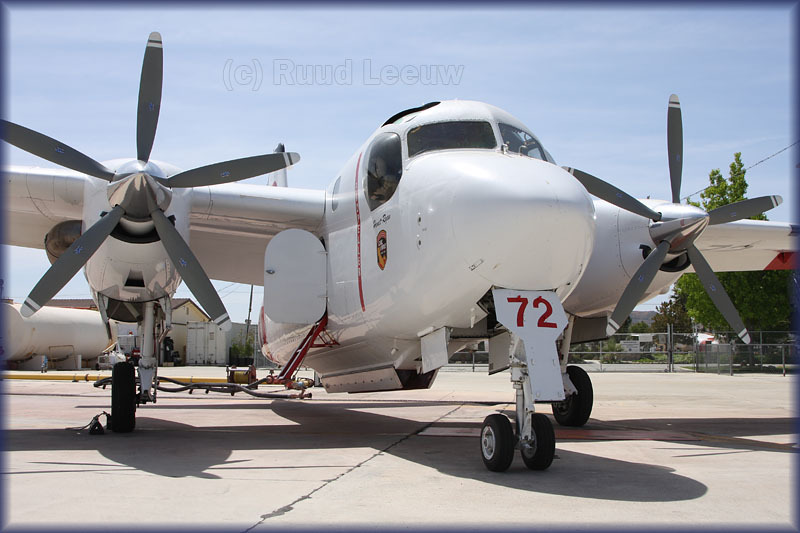 It is always a pleasure to visit these airtanker guys, because they are friendly and hospitable (provided they are not on alert of course). 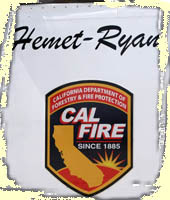 The CDF people at Hemet-Ryan proved to be no exception and Erik showed me around, while my wife took a book in the shade of a tree: life can be perfect! 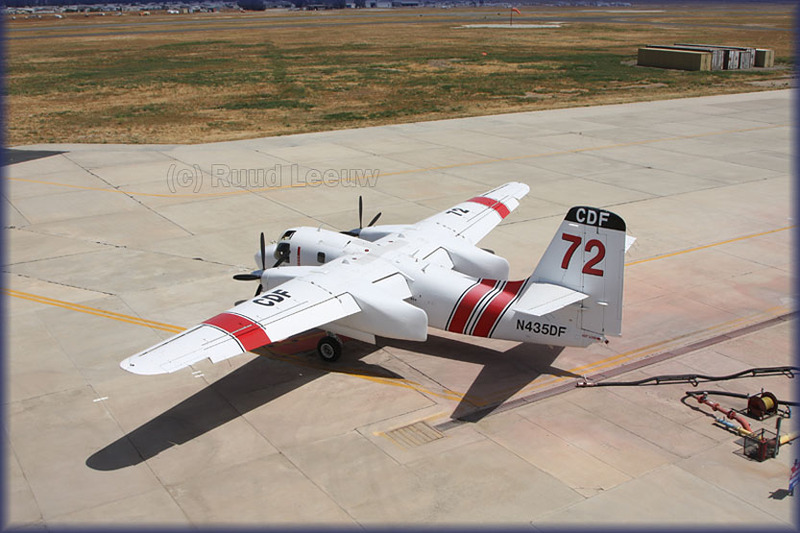 CDF Tanker 93 is being pulled to its place in the ramp line up. 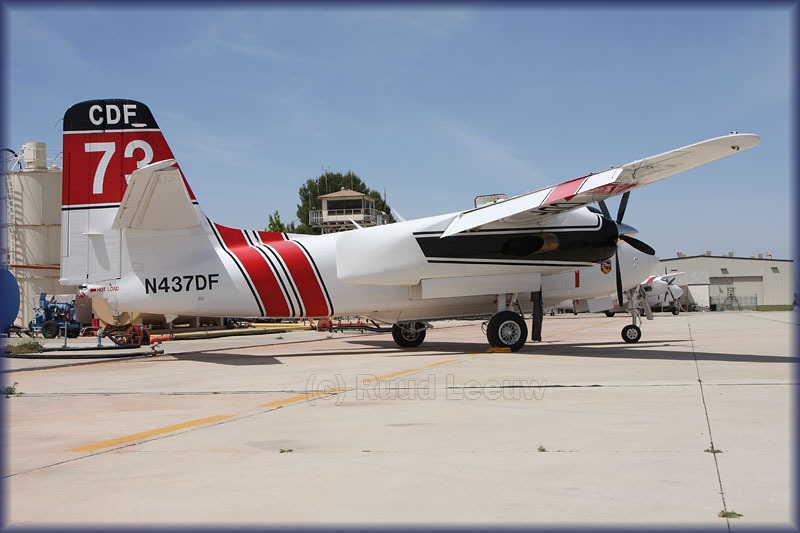 N450DF c/n 228C is a Grumman Tracker converted to turbine-power by Marsh Aviation, designated S-2F3AT 'Firecat' (don't know if that is an official name..) and this one was manufactured/converted in 2005 (registered to Marsh Aviation on 10Oct03). 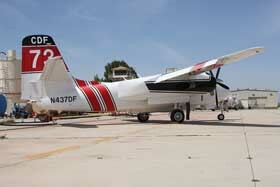 It was formerly flown by the US Navy with serial 152341. 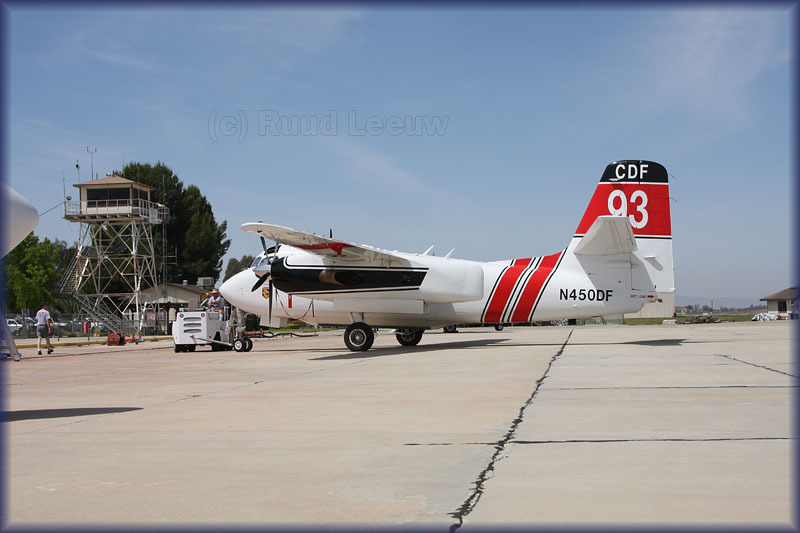 N437DF (c/n 123C) was registered as S-2F3AT on 01Feb2000 to Marsh Aviation with serial 149848. 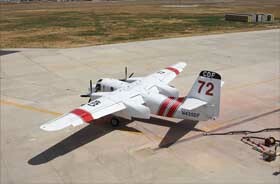 It had been reported undergoing conversion at Mesa-Falcon Field,AZ in 2000. 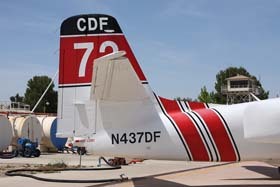 4146 / 70 (cn 654), on display in front of the CDF base. 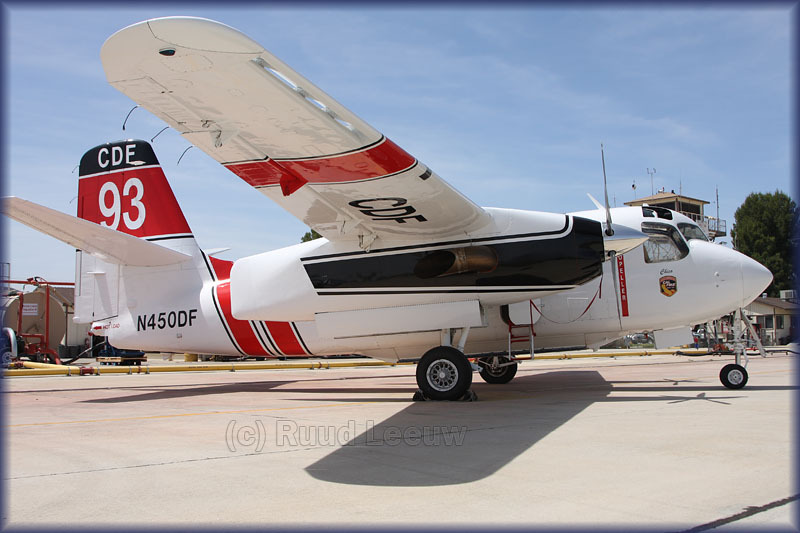 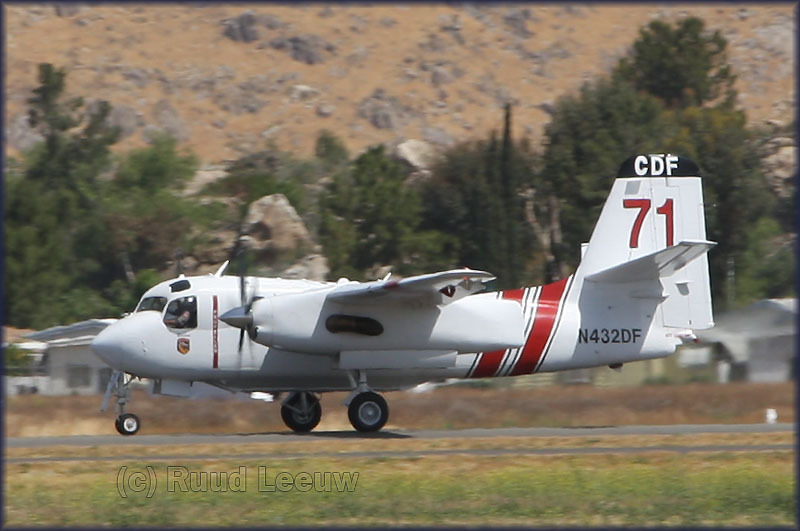 This is ex Japanese Navy 4146 (ex US Navy 136745) painted up as a CDF aircraft. 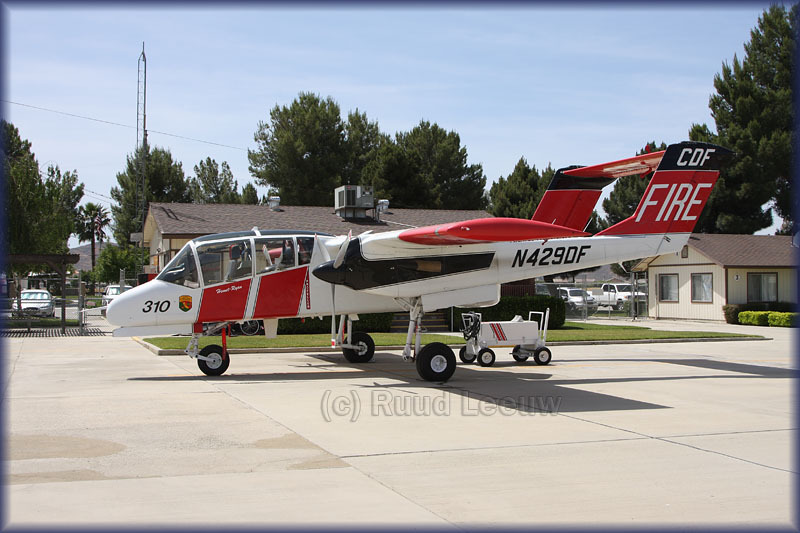 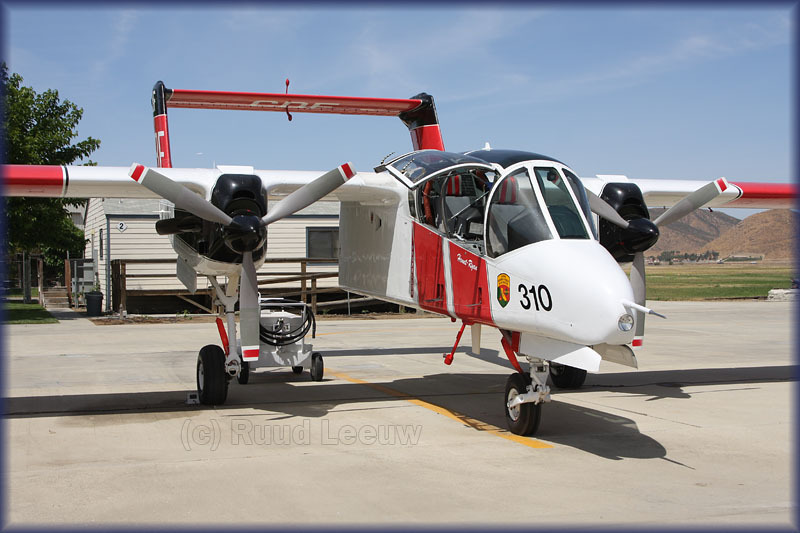 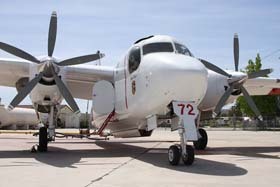 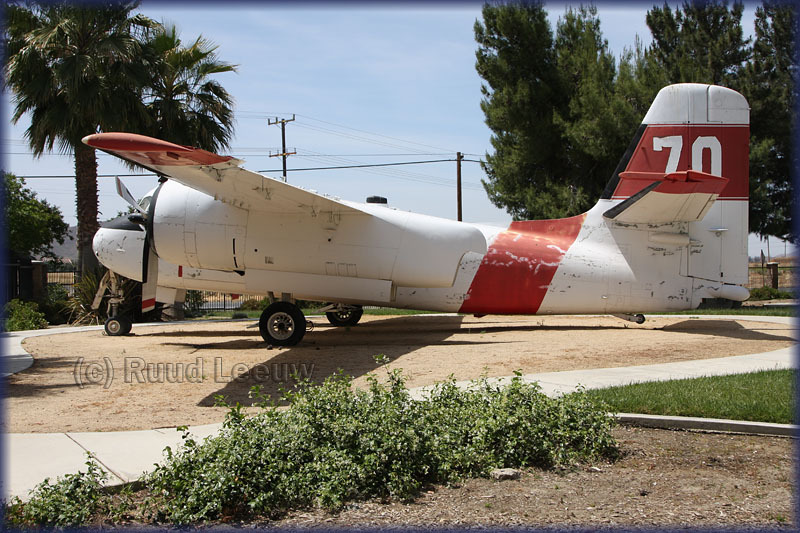 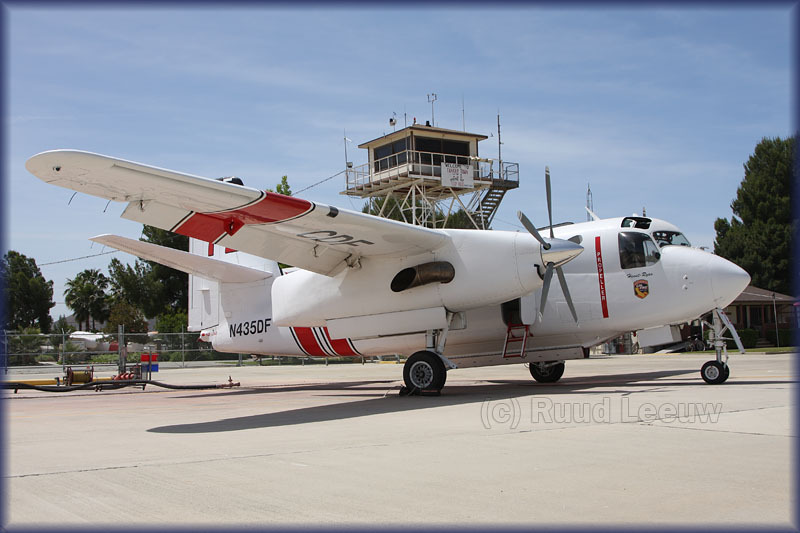 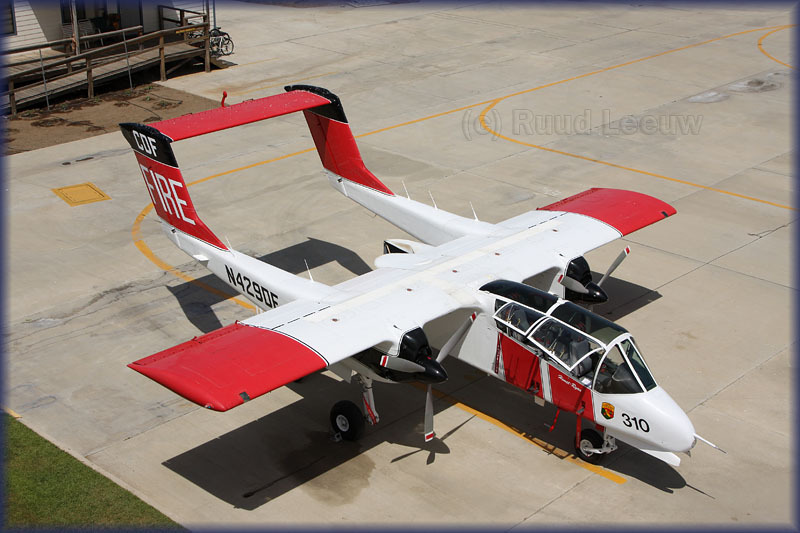 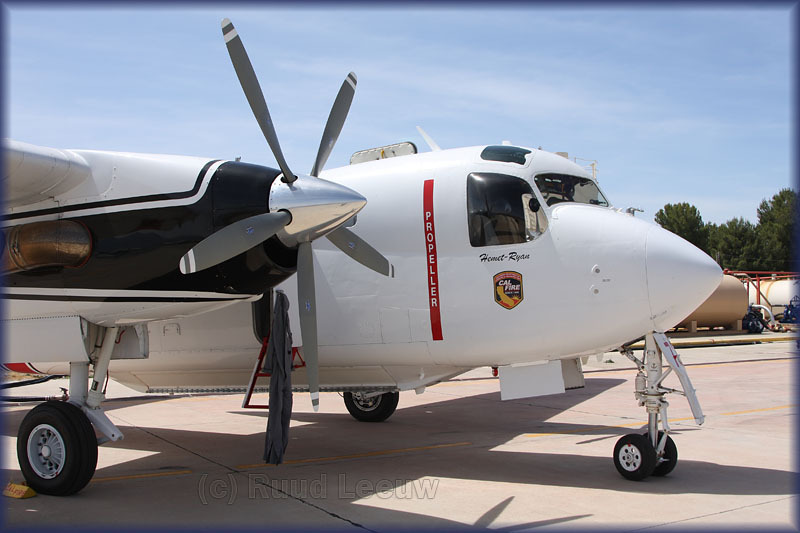 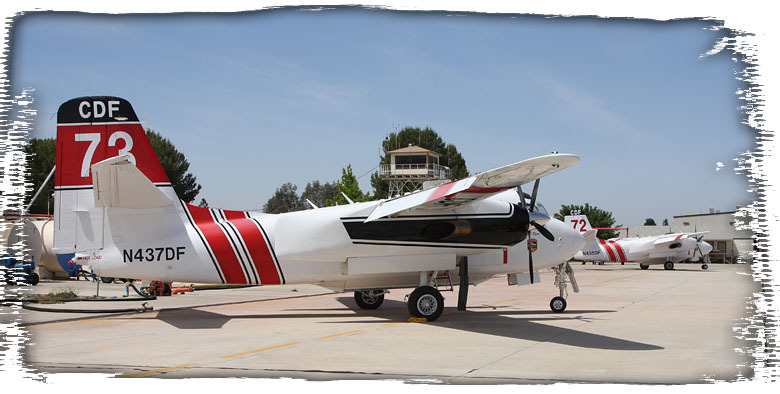 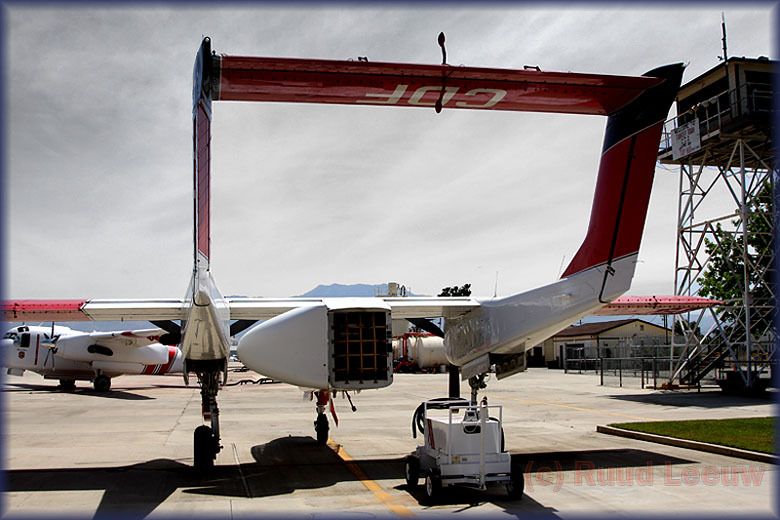 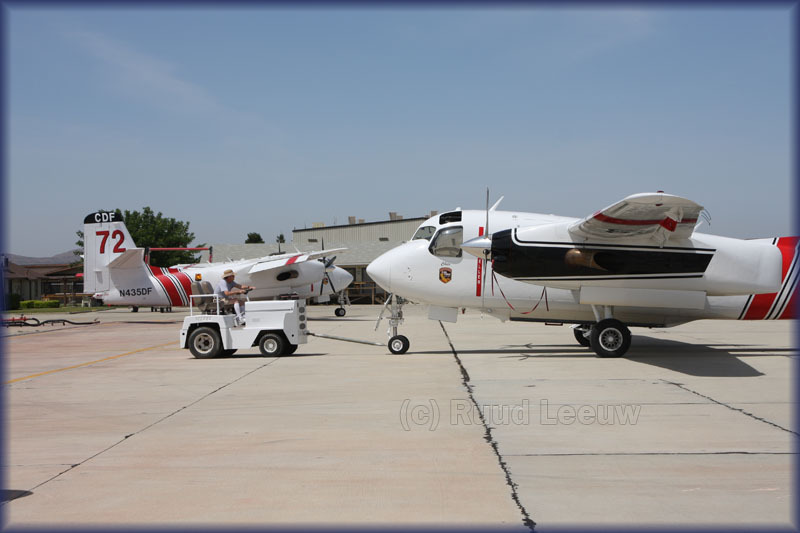 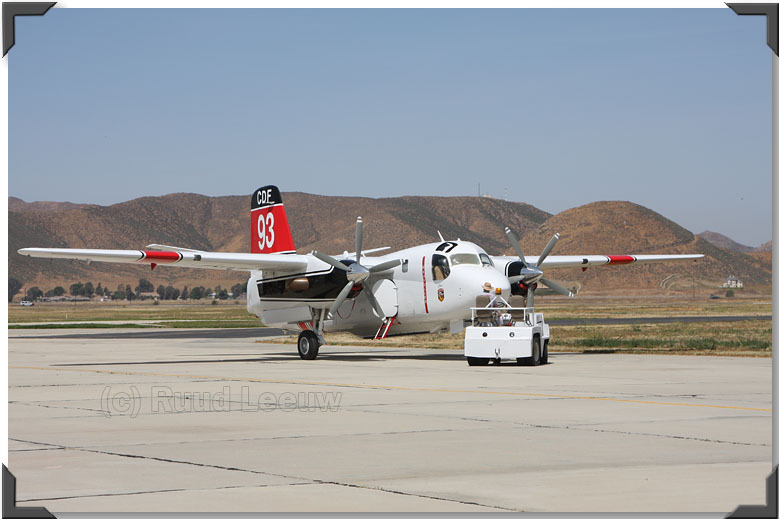 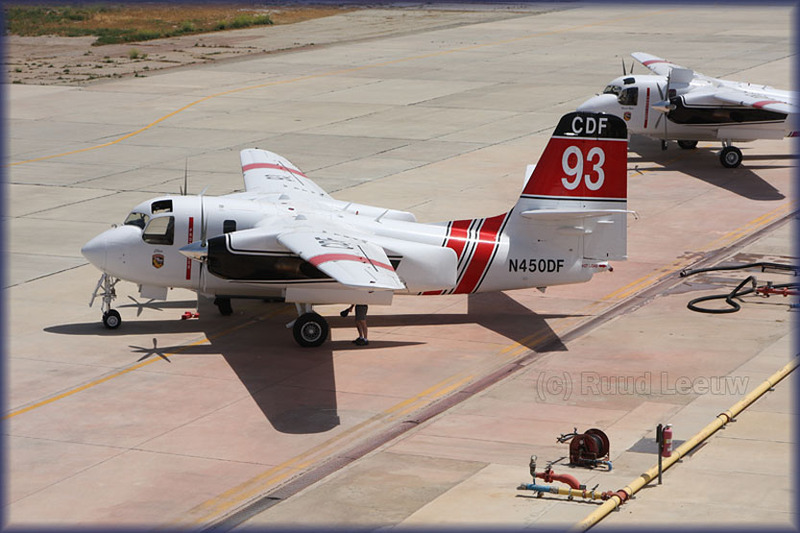 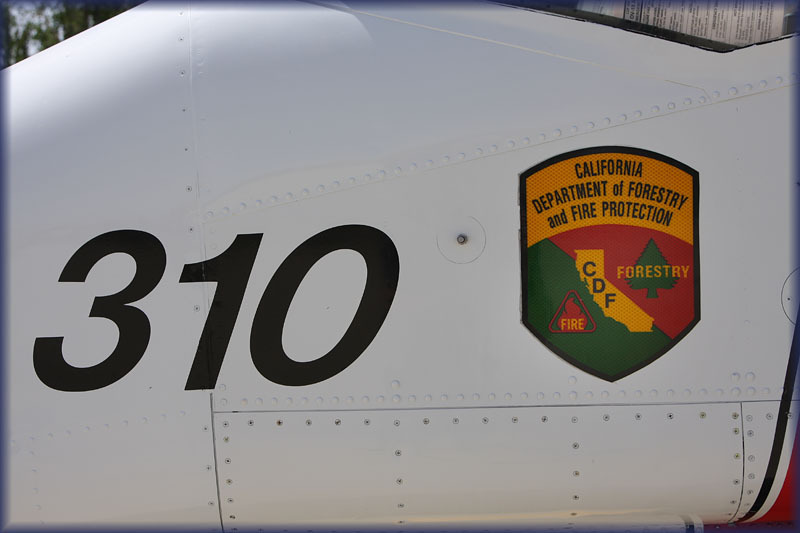 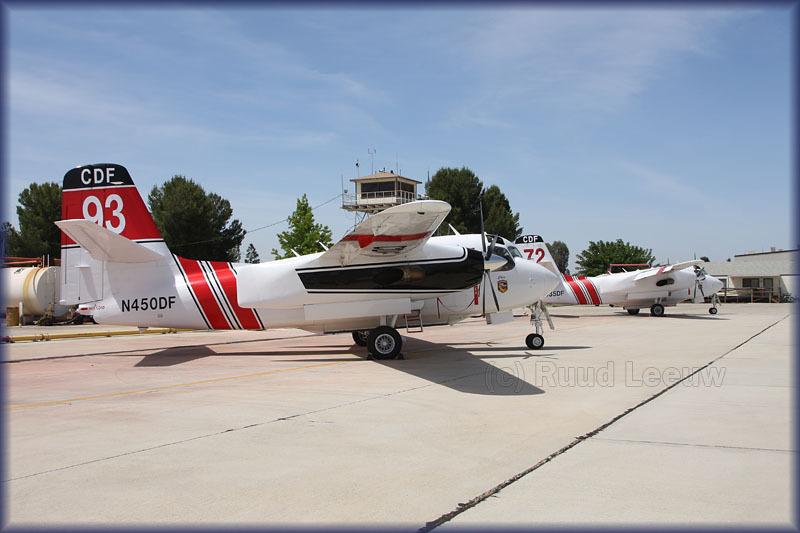 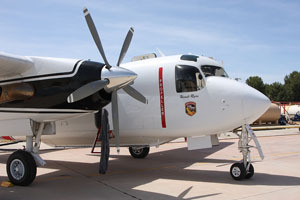 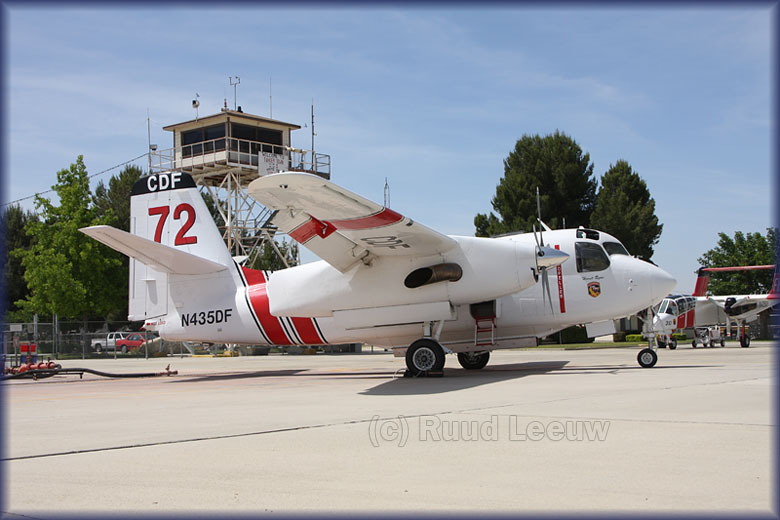 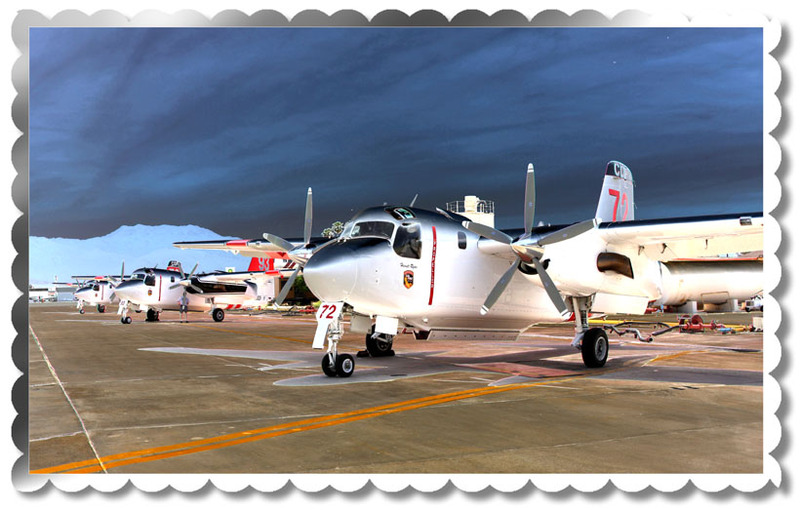 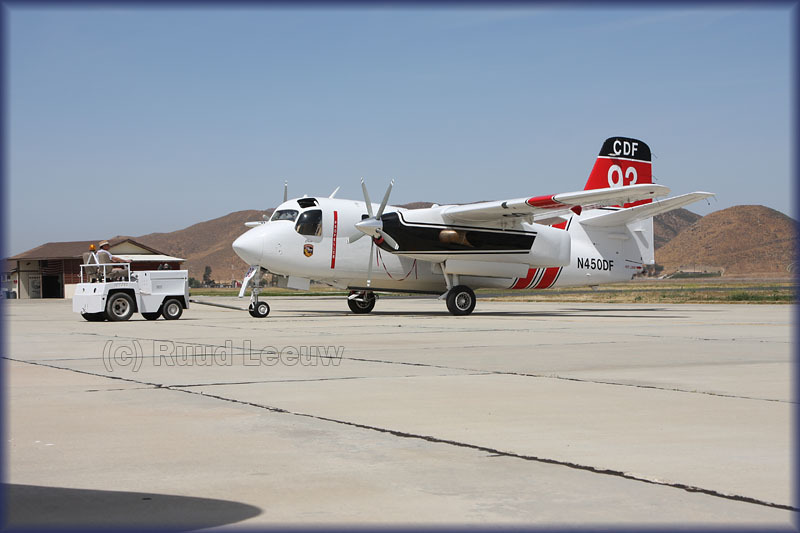 This aircraft was however never converted to a firefighter, nor did it receive a US civil registration.... [Source Airliners.net]. 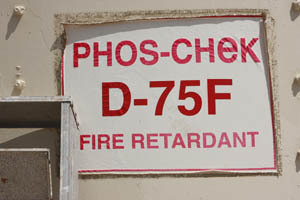 Thanks to Erik for showing me around!